The RAT Model 1 folder from Ontario Knife Company (OKC) has been incredibly popular. Now, for the first time Ontario is offering the Model 1 with their patent-pending Tactical Assisted Opening (T.A.O.) technology. So, with the push of the thumb stud the blade deploys with ease. This knife is designed for comfort and performance with an index finger groove on the handle to keep your hand where it should be and jimping on the spine of the blade for controlled cutting. The handle features textured black G-10 scales with an open-built steel liner lock frame. 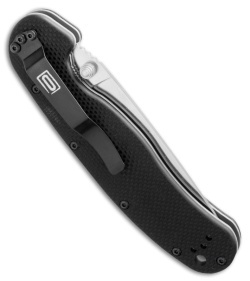 The AUS-8 stainless steel drop point blade has a satin finish and a plain cutting edge. The RAT Model 1 is fully ambidextrous with dual thumb studs and a 4-way reversible pocket clip. The Ontario RAT Model 1 is a strong, high-quality knife at an unbelievable price! I would just buy a different spring assist. Basically what it comes down to. Is it's very easy for this knife not to deploy all the way. I will lubricate and see what happens but. I will say as well. The knife cut me while it was shut, it is very easy for the knife to creep out a bit and snag onto you. Also ALSO, I broke the lock on it with very little force. All in all I'm not happy. I would HIGHLY recommend the d2 models without spring assist. As I use mine for work everyday. I've been using my Rat 1A for a few years now and have never had a problem. It holds an edge for quite a while and is easy enough to get back to razor sharp. 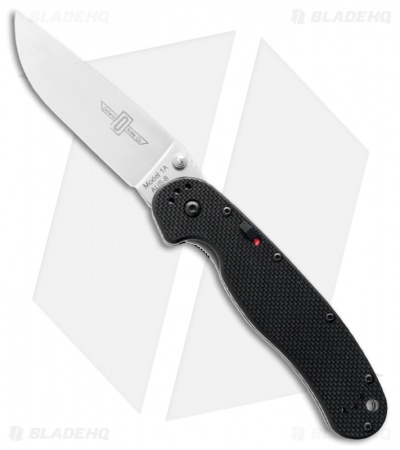 It has a strong action, and a fantastic blade shape that is well suited for a variety of tasks.